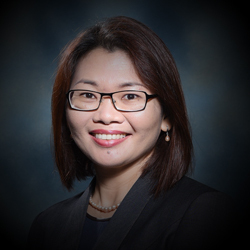 At ZUL RAFIQUE & partners, Selvi generally handles cases for and on behalf of employers. She regularly appears in the Industrial Court and routinely advises and handles disputes relating to dismissal / constructive dismissal, collective agreements, redundancy / retrenchment, change of ownership of business and other employment related issues. Her initial experience in representing employees and trade unions at the Labour Court, Industrial Court, High Court and Court of Appeal has enabled her to effectively advise on Industrial Relations matters from the perspectives of both the employer and the employees. Selvi also regularly appears in the High Court for judicial review proceedings relating to Industrial Court awards and appeals relating to decisions of the Labour Court, as well as appeals in the Court Appeal and Federal Court. In addition, Selvi also conducts seminars and training on IR / Employment issues for her clients as well as for external employment/human resource conferences.